2010-2011 Ski Season has officially Started! The race to be the first ski resort open each year always comes down to Arapahoe Basin and Loveland. 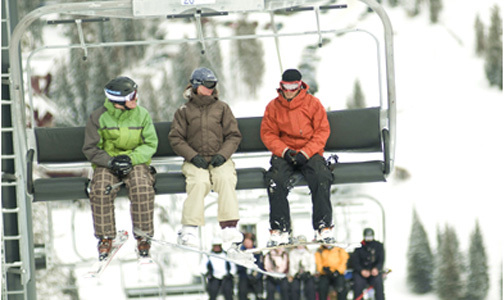 This year, Loveland opened it’s doors on Sunday, one day before A-Basin. It has been such a warm fall in Denver it seems too early for the ski resorts to be open. But while it’s been in the 60’s and 70’s in Denver, it’s been pretty cool in the mountain. In fact, the first Winter Storm Warning is today and the front range mountains are expecting to get a foot of snow, which will make skiers, boarders and the resorts happy. Being a Colorado native and an avid skier, I can’t wait to get up there for my first day of the season!